Dance Base tends to pride itself on having something for everybody, and this appears to hold true in its 2014 Fringe programme. Morag Deyes’ programming engulfs an extremely broad range of performance, ranging from completely nonsensical dance theatre showcased in a double bill of The Cut Tuk Show and Wonders of the Universe to the more focused and elegant manoeuvres of Vincent E Thomas in iWitness and Scottish Ballet’s Special Edition. Choreographer Karol Cysewski presents Wonders of the Universe (*****). Using the voice of Professor Brian Cox from the homonymous BBC Two series as a narrator, three professors who seem to have stepped out of the 70s try to compress world history – from the big bang to evolution and things humans have been doing in between – into 20 minutes of dance performance. Straddling the line between intricate, well thought out storytelling and hilarious, absurdist dance theatre, this piece seems like the unlikely intersection of Monty Python and the TV series The Big Bang Theory. 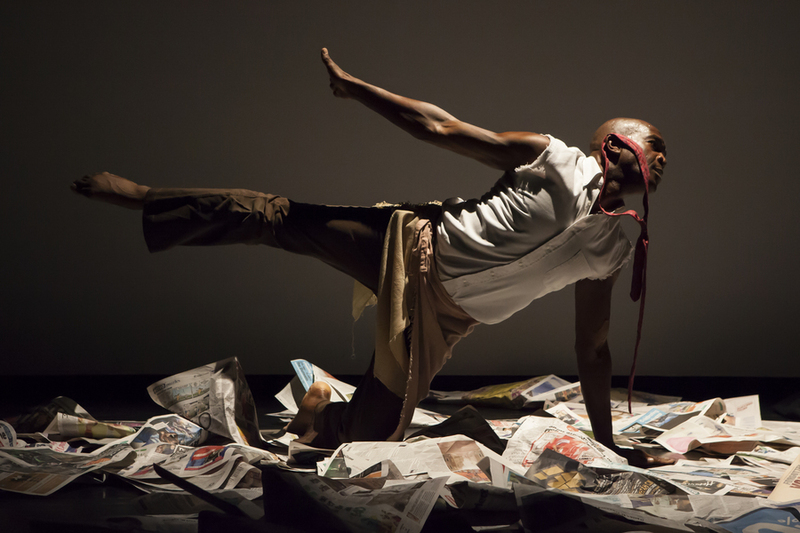 Wonders of the Universe is appropriately slotted into a double bill with The Cut Tuk Show (****), another entertaining piece of dance theatre. Choreographed by Martina Cortelazzo and performed by Francesca Botti, The Cut Tuk Show starts off with a chef telling us about her latest recipe: chicken marinated in prune and ginger chutney. In the process of making the dish, her everyday movements fall into simple yet obvious dance movements as her inner dancer strives to be unleashed. Although the choreography is not as elaborate as in the first part of this double bill, it is equally funny to watch, and could be read as a comical take on finding a passion – and stressing that your job does not define you. 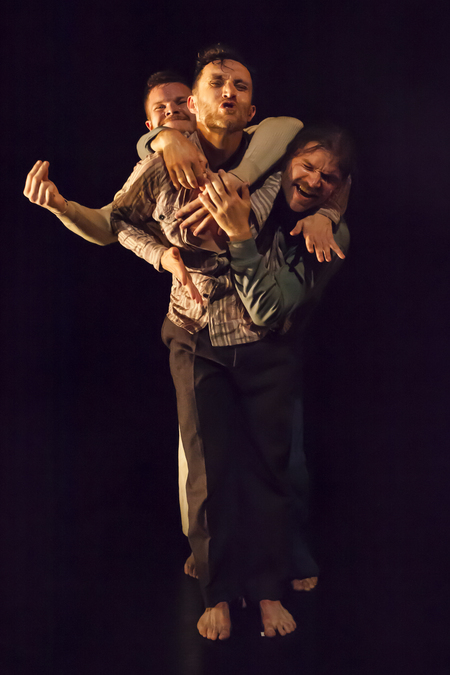 On the other hand, Vincent E Thomas presents a more challenging piece of dance theatre, iWitness (****). Questioning the audience head-on, he tries to stir social consciousness as he asks, “As a citizen of this world, what do you pledge?” An exclusive cut from a longer show called Witness, iWitness becomes a thought-provoking discussion about universal human rights. Thomas intertwines dance with direct verbal interaction to examine how these 'sacred rights' are or are not upheld, and what we are going to do about it. iWitness’s human-oriented, activism-driven themes contrast heavily with the more introspective work presented by Scottish Ballet in Special Edition (***). Special Edition is in itself a double bill, with brand new works from Scottish Ballet dance artists Hope Muir, Sophie Laplane, Eve Mutso, and Constant Vigier. Until 10 August, Special Edition features Broken Ice (Hope Muir) and Sink In (Sophie Laplane). Both pieces provide a stark contrast to Thomas's smoother, but extremely ambitious, style. Muir's Broken Ice seems slightly fragmented, and remains slightly hazy in relation to its source material – particularly if Tennessee Williams' Talk to Me Like the Rain and Let Me Listen is not a play you are familiar with. On the other hand, Laplane's Sink In uses costume and repetitive patterns in the dancing to underline the duality she is going for. Artistic director Christopher Hampson's influence has clearly untangled the legs of the company, and made visible improvements to their timing, synchronisation and pacing, which comes across in these pieces. From 12 August, the Special Edition will feature elEven by Eve Mutso and Stabat Mater by Constant Vigier.